Tonight’s dinner was ridiculously (and so, so deliciously) healthy and easy! I’m so excited to share this recipe with you all. 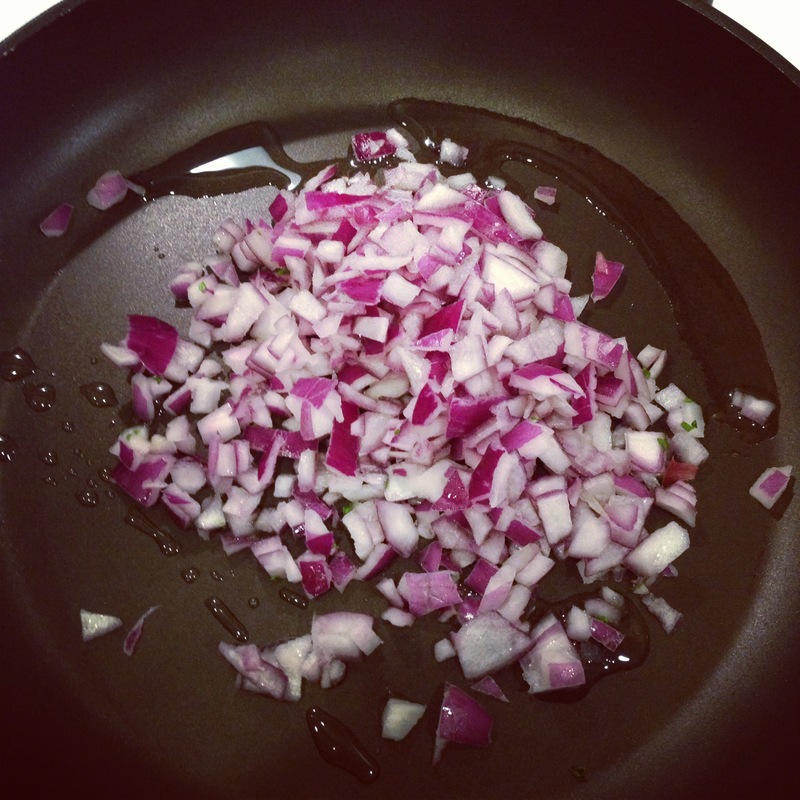 In a medium sized nonstick pan, drizzle 1 tbsp olive oil and saute the onions for 4 minutes, adding the garlic after 3 minutes with another tbsp of olive oil; then, remove both from heat and set aside. 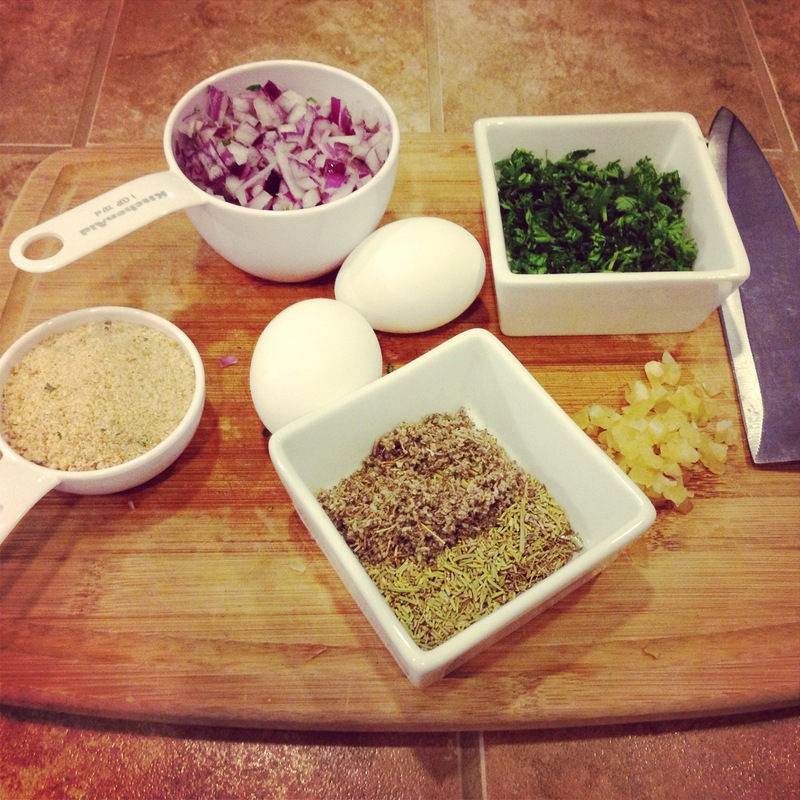 Combine the ground turkey, seasoned bread crumbs, dried herbs, fresh parsley, burger seasoning, eggs, Worcestershire sauce, salt, pepper, onions and garlic. Form into patties with your hands, making them as big or as small as you like. 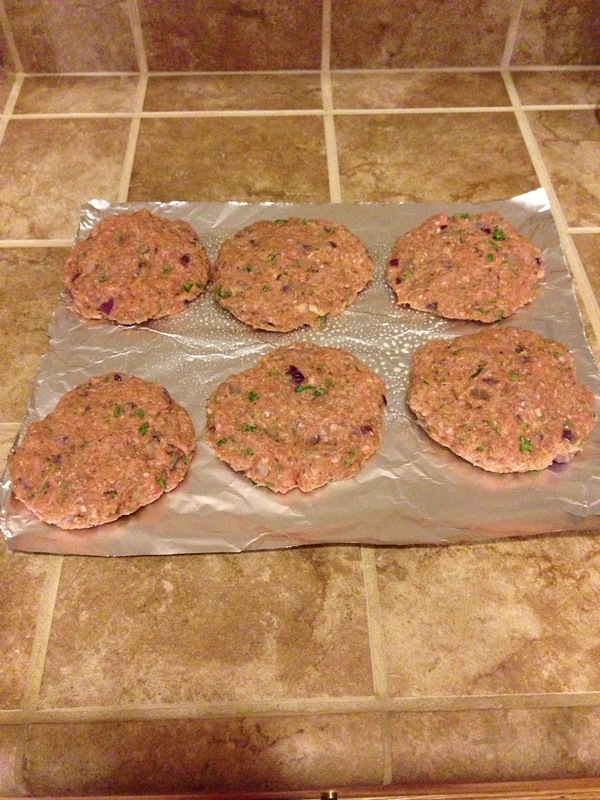 I used about a quarter of a pound each of meat and made 6 patties. 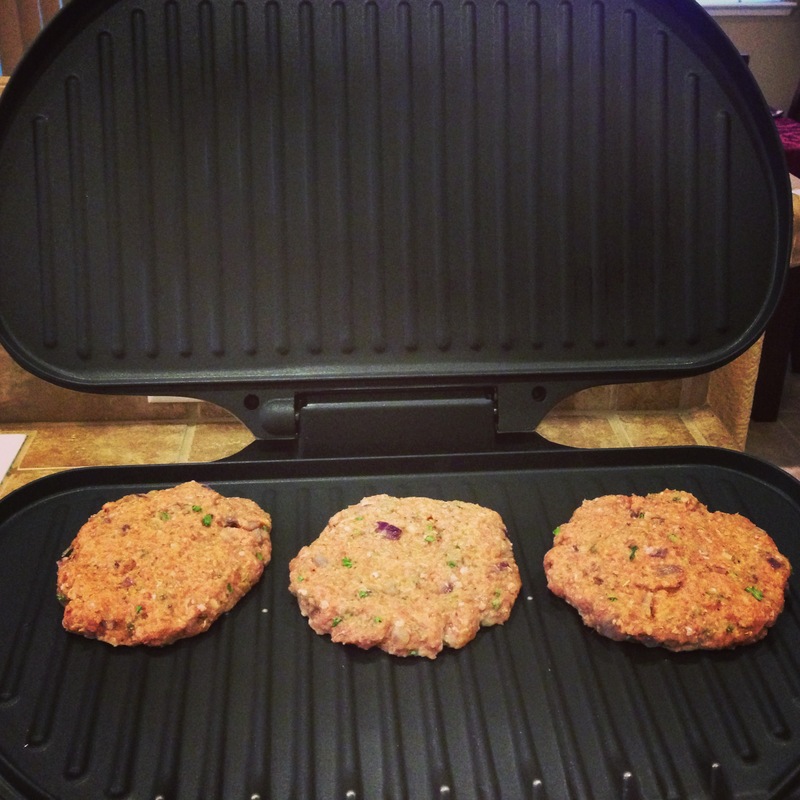 Put them on a George Foreman or similar type of grill for 10 minutes. 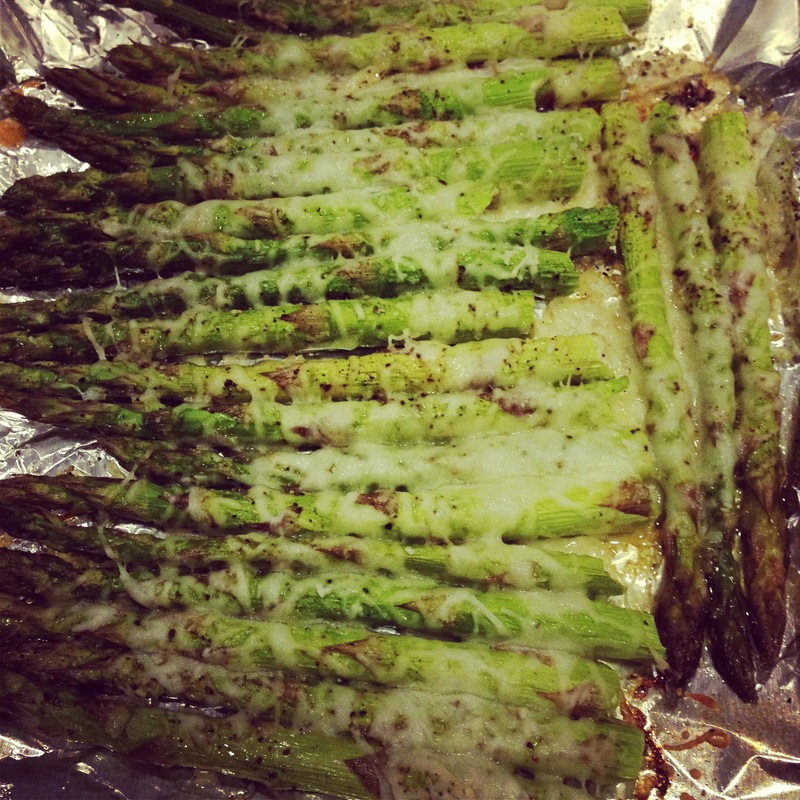 While those were grilling, I made some oven roasted asparagus, sprinkled with a blend of shredded Italian cheeses. Simply wash some asparagus, spray a piece of foil with Pam and place the asparagus on a baking sheet. Drizzle the asparagus generously with olive oil, sprinkle with sea salt and freshly ground black pepper. Put in a 350 degree heated oven, bake for 20 minutes; after 20 minutes, remove from heat, sprinkle the asparagus with shredded cheese (the blend I used had mozzarella, cheddar, provolone, and asiago cheese), and put back in the oven for 1 minute. 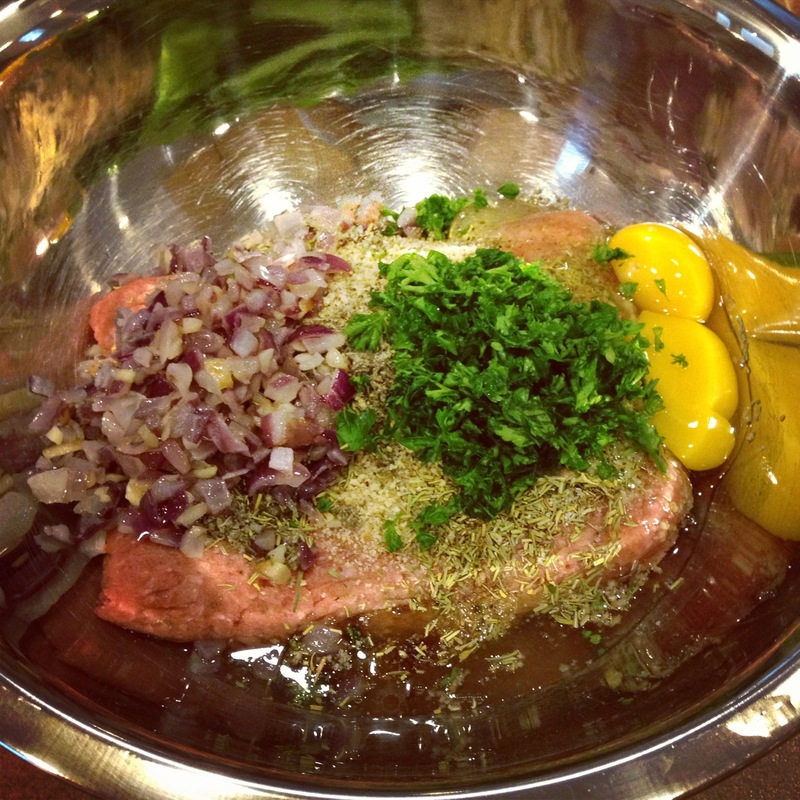 After 1 minute, broil for 1 minute and remove from heat completely. 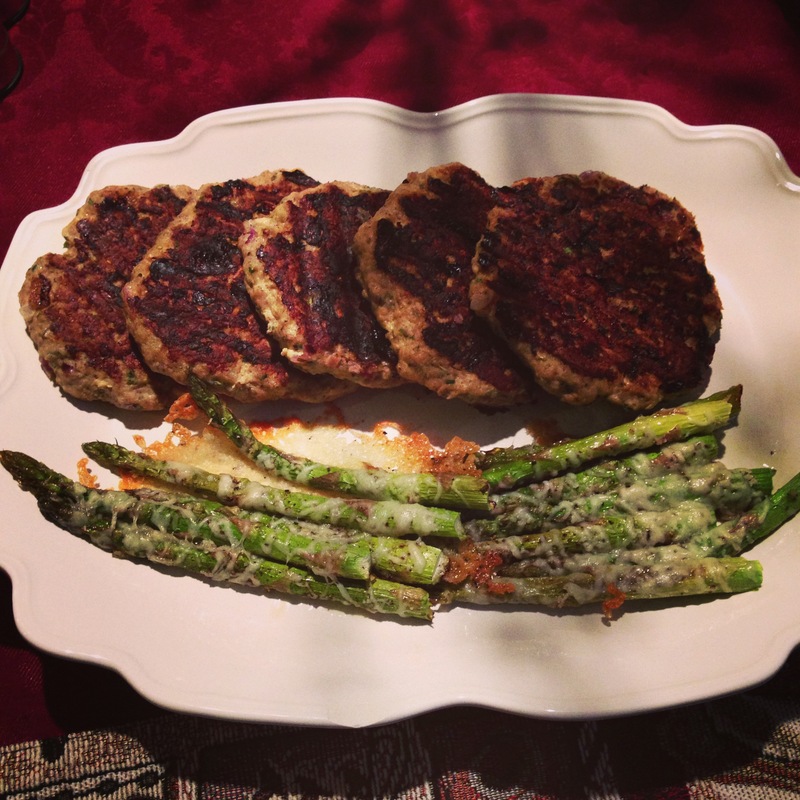 Serve the asparagus with the intensely flavorful turkey patties! From my home and kitchen to yours, I hope you enjoy this meal.